Airline stocks today are among the highest performing stocks in the market. But that wasn’t always the case. In the late 1970s the airline industry saw deregulation. Instead of the government setting airline ticket prices, airlines decided them. This competition caused several airlines to go out of business. Bankruptcies soon followed. From 1979 to 1982 there were 23 Chapter 11 filings. In 2011, American Airlines filed for chapter 11. The same for Delta Airlines in 2005, US Airways in 2004, and United Airlines in 2002. However, over the last five years, airline stocks have made a huge comeback, boasting some of the highest returns in the market. Economic Conditions. Typically, people will travel more if they are confident about the economy. They are also willing to travel if they see their disposable income rise. During the financial crisis, American Airlines saw its stock price drop from $22.92 (11/30/2010) to $0.86 (11/30/2011). Politics. If a government issues a travel ban that can negatively affect the airline industry. Up until the late 1970s, the government set the price for airline tickets. It’s important to pay attention to policy actions before investing in an airline stock. Geopolitical Tensions. According to Esri and PeacTech Lab, there were over 1,000 terrorist attacks throughout the world in 2017. American Airlines saw its shares drop from $29.70 to $18.00 per share in less than a week following the September 11 terrorist attacks. During that same period, United Airlines saw its shares plummet from $30.82 to $17.50. The price of crude oil started to see a sharp decline in the summer of 2014 and appears to have bottomed out in January 2016. During that period, airline stocks performed extremely strong. Lower fuel costs means reduced operating expenses for airline companies. Delta Air Lines (NYSE: DAL): The company operates through two segments: Airline and Refinery. Its route network is centered around a system of hubs, international gateways, and airports in Amsterdam, Atlanta, Boston, Detroit, London-Heathrow, Los Angeles, Minneapolis-St. Paul, New York-LaGuardia, New York-JFK, Paris-Charles de Gaulle, Salt Lake City, Seattle, and Tokyo-Narita. For its full year 2017, the firm boasted an operating revenue of $41.2B. Passenger revenue increased $527M for the same time period. As of February 2, 2017, the company operated a fleet of about 800 aircraft. The firm is a member of the S&P 500 and has a market cap that exceeds $40B. American Airlines Group Inc. (NYSE: AAL): The airline serves 350 destinations in about 50 countries. Its main hubs include: Charlotte, Chicago, Dallas/Fort Worth, Los Angeles, Miami, New York, Philadelphia, Phoenix, and Washington, D.C.
As of December 31, 2016, the firm operated a mainline fleet of 930 aircraft. Analysts who cover the stock include: Imperial Capital, Buckingham Research, Stifel, BofA/Merrill, JP Morgan, Cowen, Morgan Stanley, and Barclays. The company is a member of the S&P 500 and has a market cap exceeding $25B. United Continental Holdings, Inc. (NYSE: UAL): The airline provides services in North America, the Asia-Pacific, Europe, the Middle East, Africa, and Latin America. As of December 31, 2016, it operated a fleet of 1,231 aircraft. The firm also sells fuel, offers maintenance, catering, and ground handling services for third parties. 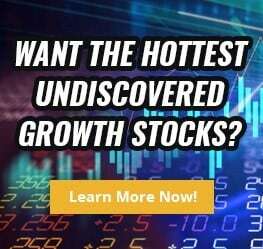 Analysts covering the stock include: Imperial Capital, Citigroup, Stifel, Buckingham Research, JP Morgan, Evercore ISI, Cowen, and Raymond James. The firm is a member of the S&P 500 and has a market cap exceeding $20B. China Eastern Airlines Corporation Limited (NYSE: CEA): Based out of China, the firm offers passengers, cargo, mail delivery, ground, cargo holding, tour operations and other extended transportation services. As of December 31, 2016, the company operated a fleet of 596 aircraft, including 572 passenger aircraft, 9 freighters, and 15 business aircrafts. Analysts who cover the stock include: Goldman and JP Morgan. The firm has a market cap of more than $15B. China Southern Airlines Company (NYSE: ZNH): Based out of China, the firm provides airlines transportation services in the People’s Republic of China and internationally. It offers passenger, cargo, mail delivery, and other transportation services. In addition, it offers ground, cargo handling, air catering, logistics, freight, and import, export agent services, and is involved in hotel and tour operations. As of December 31, 2016, it operated 701 passenger and cargo transport aircraft. The firm operates about 2K daily flights to 208 destinations in 40 countries and regions. Analysts who cover the stock include: Goldman and Citigroup. The company has a market cap exceeding $15B. It has seen its sales rise from 2013 to 2016. Still Unsure On Which The Best Airline Stock Is? If you’re not much of a stock picker but you want exposure to the airline industry you have options. The U.S. Global Jets ETF (NYSE: JETS) provides investors access to the global airline industry, including airline operators and manufacturers from all over the world. Its net assets exceed $100M, and has a net expense ratio of 0.60%. Its top five holdings include: United Continental Holdings, American Airlines Group Inc., Delta Air Lines, Southwest Airlines, and Spirit Airlines. Investing in this ETF will give you diversification across the airline sector. Founded in 2016, this ETF has posted double digit returns in its first two years of inception. There is a lot to consider before investing in an airline stock. In 2018, there were three Chapter 11 filings from the airline sector. There were seven in the year 2008. Factors you should consider before investing include: the state of the economy, the political/policy landscape, fuel prices, geopolitical tensions and the threat of terrorism. During periods of economic growth, airline stocks can perform extremely well. However, during recessions and economic downturns investing in an airline stock is generally advised against. When fuel costs drops, airline companies typically make more profit. The airline industry has changed considerably over the last 40 years. Over the last couple, we’ve seen massive consolidation through the act of mergers of acquisitions. Some of the more notable ones include: Delta Air Lines/Northwest Airlines, United Airlines/Continental Airlines, US Airways/American Airlines, and Alaska Airlines/Virgin America. Delta Air Lines has been involved in 12 deals since inception, American Airlines has had 6 deals since inception, United Airlines was involved in 7 before merging with Continental Airlines. As you can see, there are a lot of moving pieces in the airline industry. However, airline stocks are worth tracking and you can use them as a barometer for the overall health of the economy. If you decide to invest in an airline stock make sure to do your own homework.